How you thought about investing in Gold Stock? 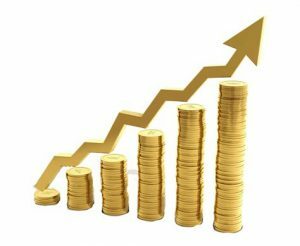 What are the good reasons to invest in gold? Gold is a unique asset having a strong value throughout the ages. People see it as a way to pass over and preserve their wealth from one generation to the next. Gold has been standing as a wall against inflation. With the increase in the cost of living, there has always been an increase noted in the price of gold. If you check the historical details, the price of gold tends to increase with the higher cost of living. Similarly, deflation is a phase of decreasing the price and it occurs when an economy has a burden of debts. This is the time when the relative purchase power of gold increased and the other prices dropped gradually. US dollar is the world’s most significant reserve currency. As the dollar rate falls, it prompts people to undertake gold investment as the security and consequently, the price of gold increases. There was a tripling of the price of gold between 1998 and 2008 and it reached a mark of $1000 per ounce in the early phases of 2008. It doubled between 2008 and 2012 by making it reach a level of $1900. The reason for declination of US dollar occurred for the variety of reasons: large budget of the country and trading shortfalls and a huge increment in the supply of money. In these years, there has been an increment in the emerging market economies which gave a boost to the demand for gold. India is one of the major gold-loving nations over the world and the major use of Indian gold is in jewelry. Chinese people undertake gold bars as a traditional form of saving. Even for the demand of investors, there are many of them entrusting gold as the most promising commodity. The supply of gold in the market after the 90s has been there from the global central banks. This selling process faced a slow-down in 2008. The variation in the production of new gold from mines has been fluctuating at various stages and the price becomes higher with the reduced supply. Gold has a positive value during the times of financial imbalance and geopolitical uncertainty phases. When the worldly tensions arise, this commodity outperforms the other investment modes. This has been seen very recently during the phase of the European Union crisis. There is always a price hike observed in gold when the government confidence goes down. Gold has a negative correlation to stocks and other financial platforms. Some years have been great for gold and bad for stocks, and vice versa. The diversified investors invest in a combination of gold, stocks, fixed deposits and bonds in the portfolio to reduce the risk and overall volatility. 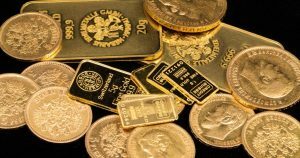 Gold is indeed an important part of the diversified investment portfolio as the price of this commodity depends on many factors all over the globe. There might be short-term fluctuations but ultimately, the value of yellow metal won’t go down. Gold investment is worth considering.